What’s the point in doing anything unless you have a goal? An ambition or dream that keeps you reaching for it at all times. 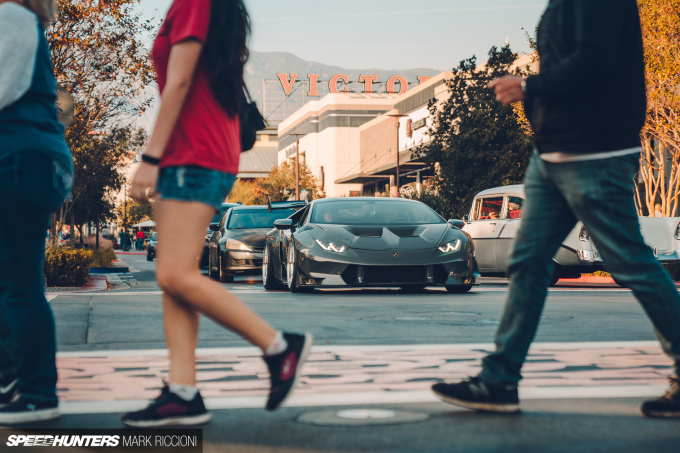 I’m sure most of us have seen a wild and crazy race car, maybe in a magazine, online or on TV, splashed in sponsors stickers and a colourful livery, and imagined what it would look like clean and painted in one colour, void of brands and badges, and rolling down the street. 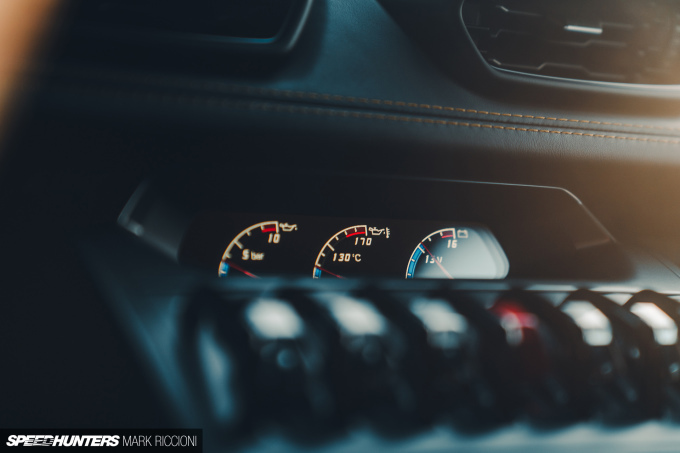 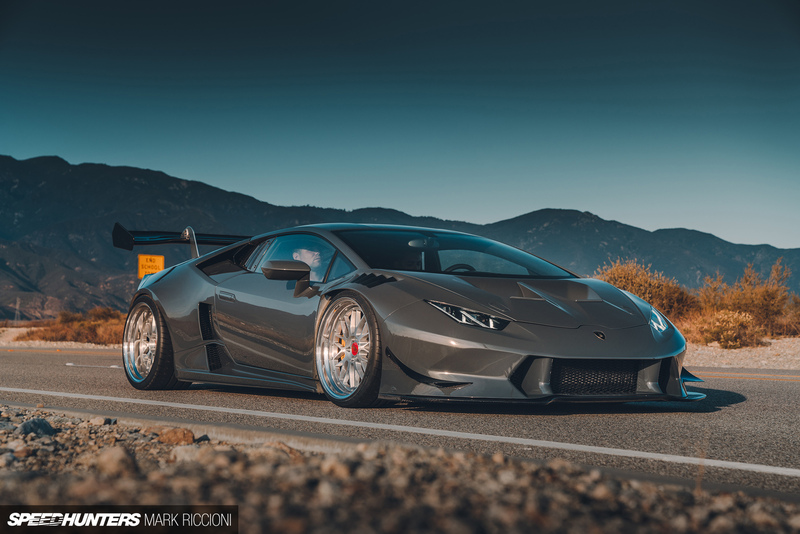 Unlike most of us, however, Marc – the owner of this fully insane Lamborghini Huracán – actually put his money where his mouth is. 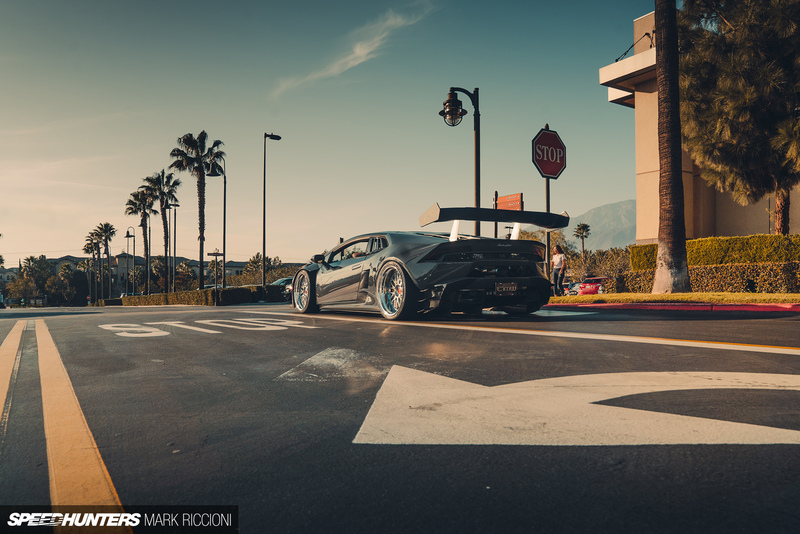 This is his dream car, and he’s built it with zero compromises. 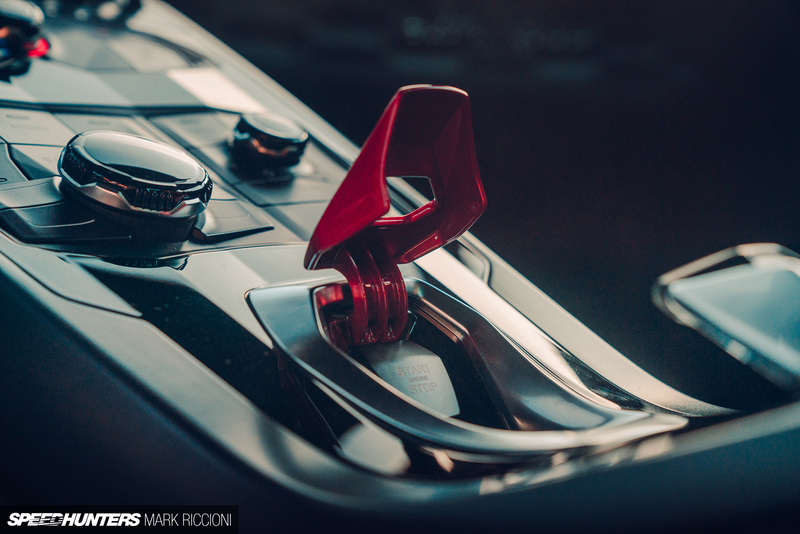 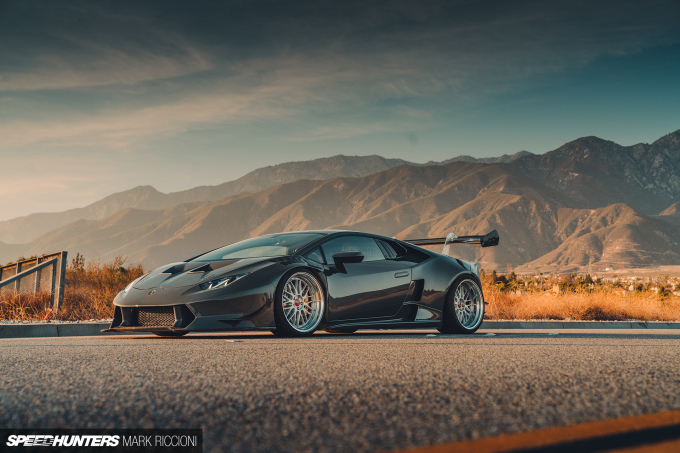 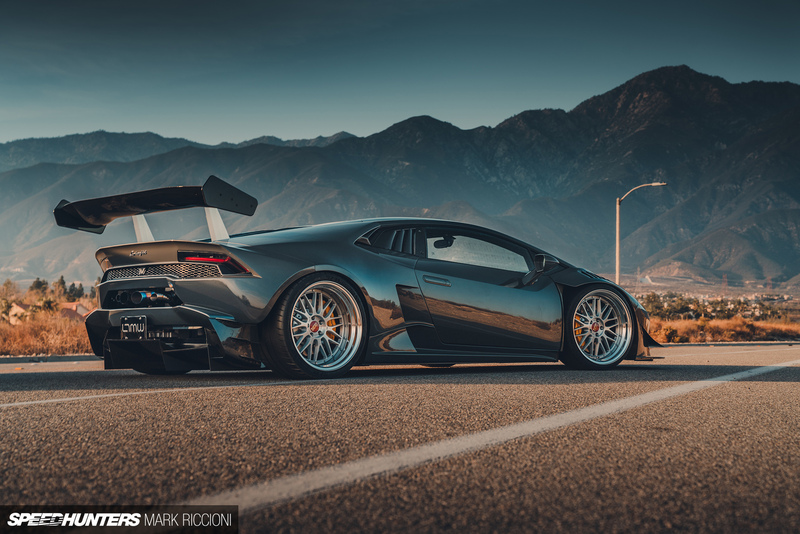 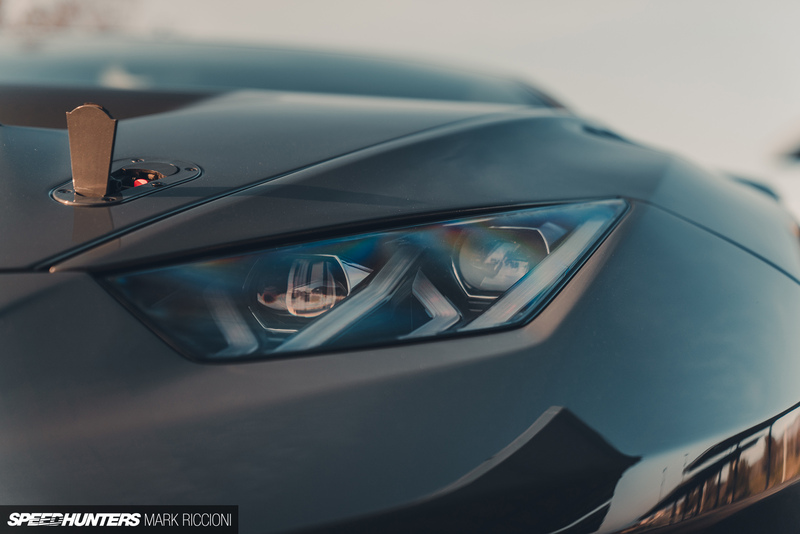 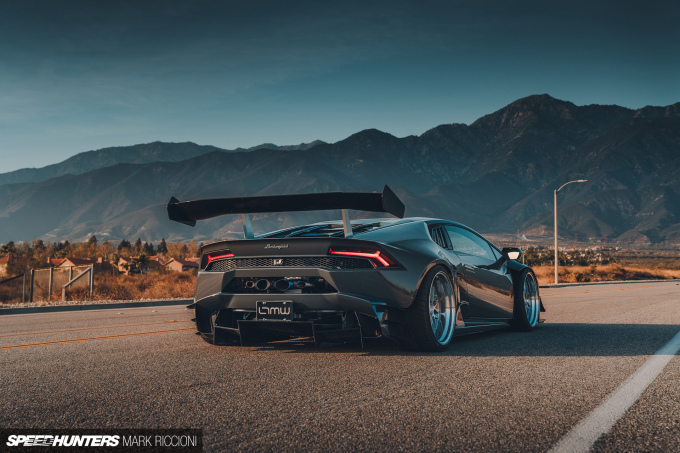 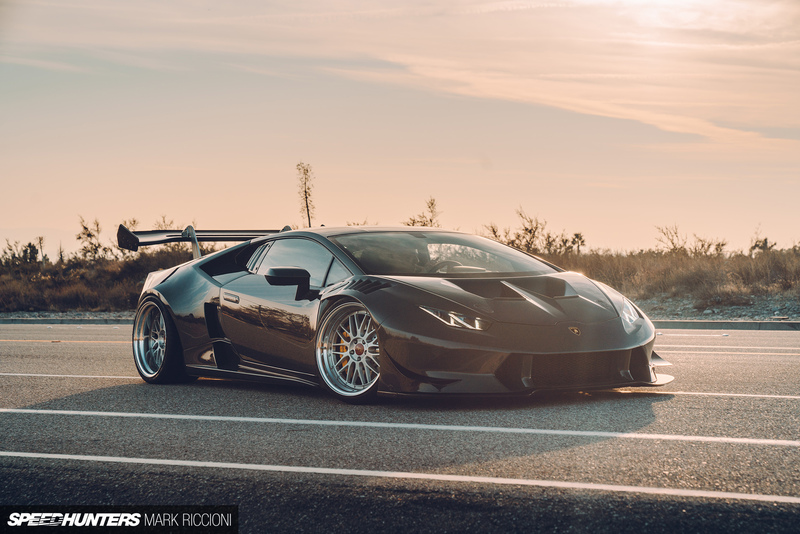 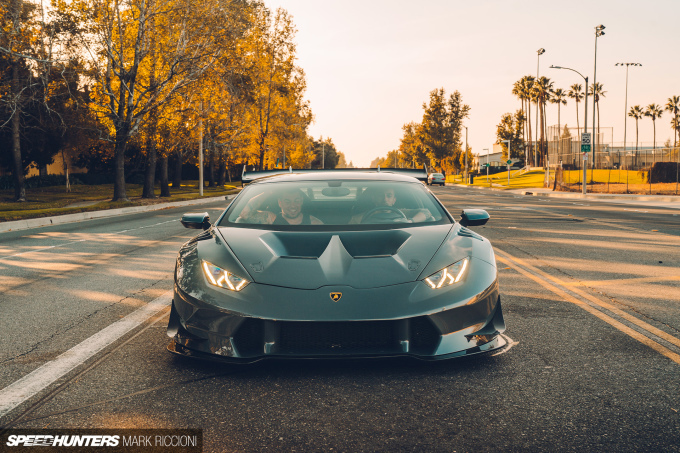 From the moment Marc first laid eyes on the wide and aggressive Huracán Super Trofeo GT competition car, he had it in his mind to build a road-going version. 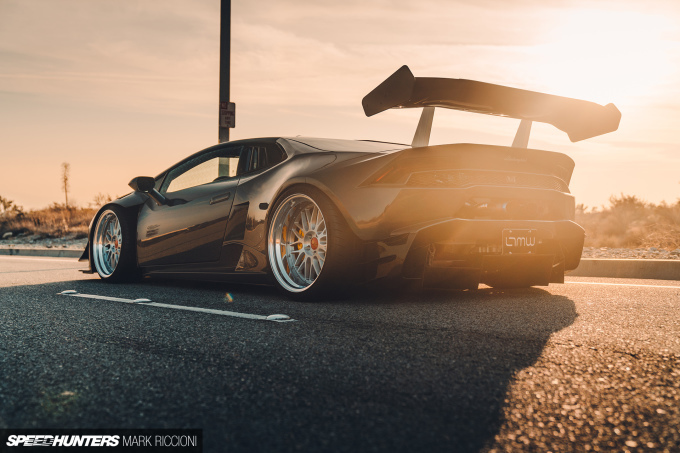 But this was long before he’d even perused the brochure and decided to make his dreams a reality. 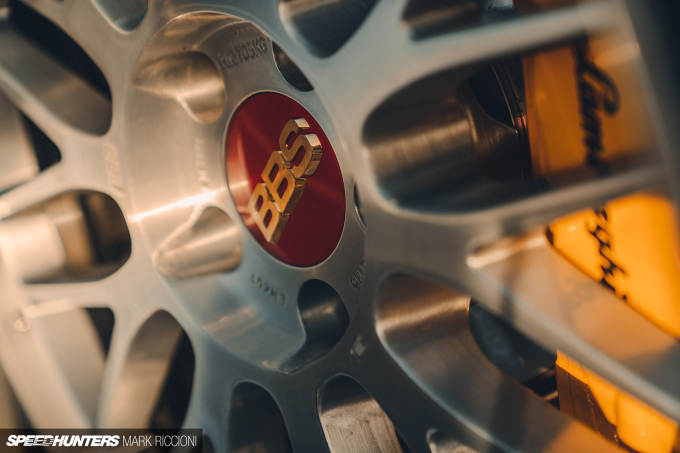 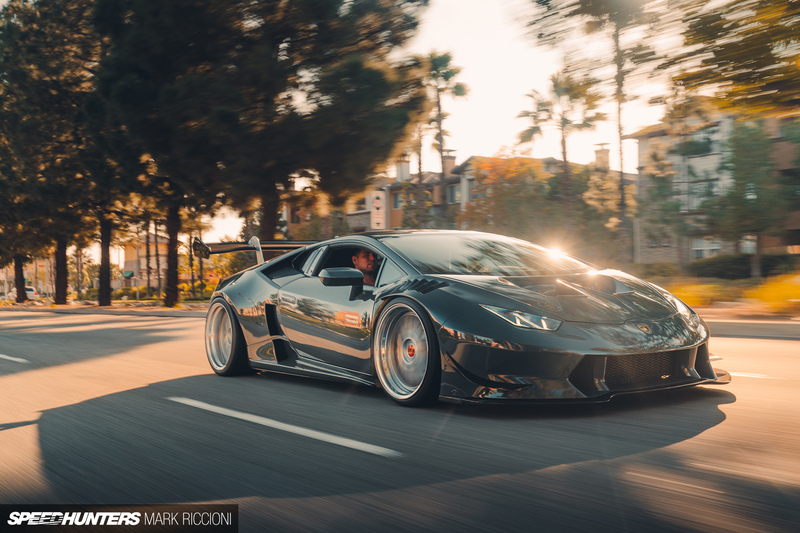 Marc didn’t know exactly how he was going to do it, or if he’d even be able to source the rare Super Trofeo competition conversion, but his mind was set on making it happen. 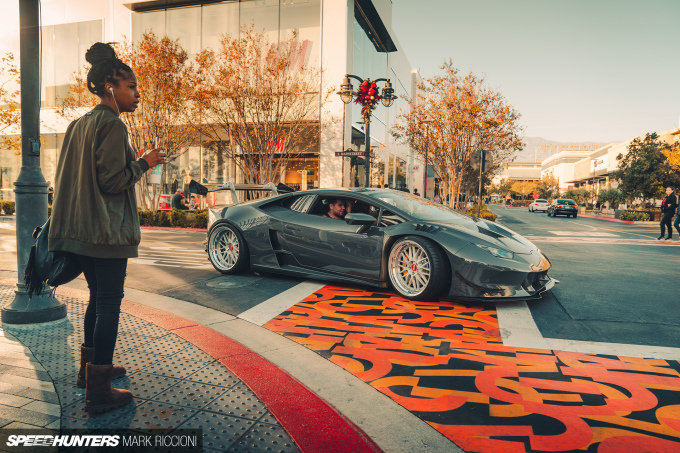 So, after much deliberation, he took the first and probably most daunting step and ordered the car. From the offset the Super Trofeo was the inspiration, so, like the race car, Marc made sure to order the exclusively rear-wheel drive Huracán 580-2 variant. 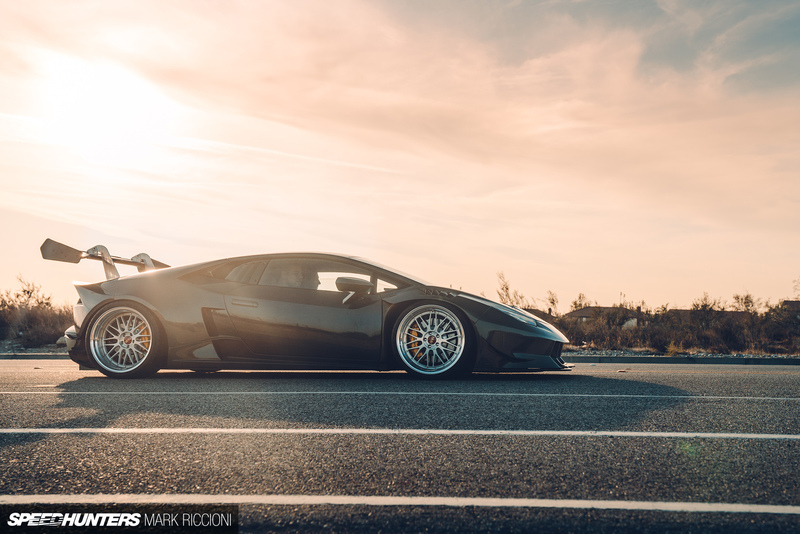 Marc’s choice of colour was the gorgeous Grigio Telesto grey, which along with his choice of rear-wheel drive, meant an agonising six-month lead time for the car to be built from scratch. 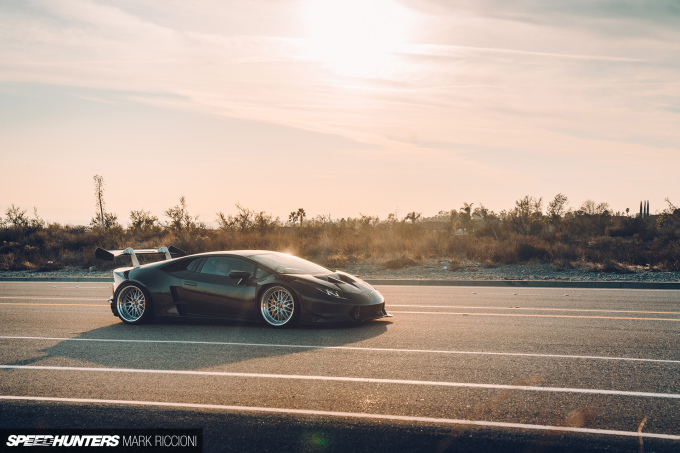 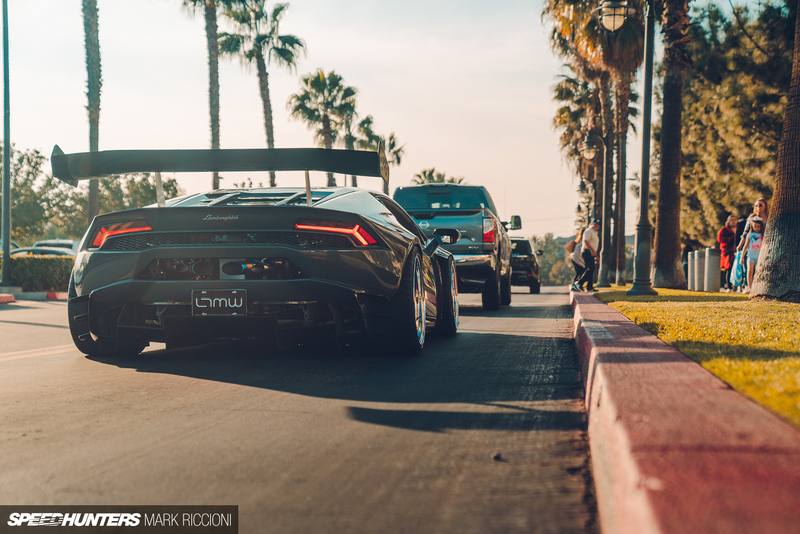 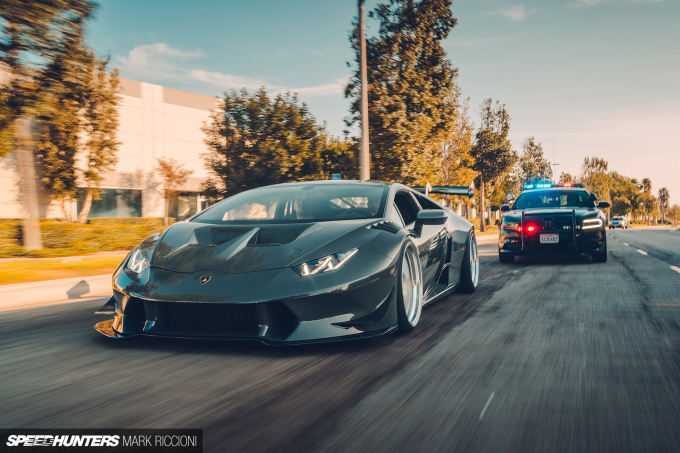 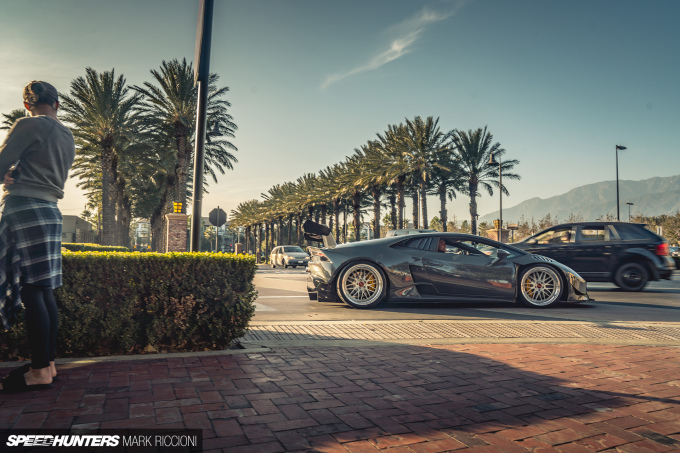 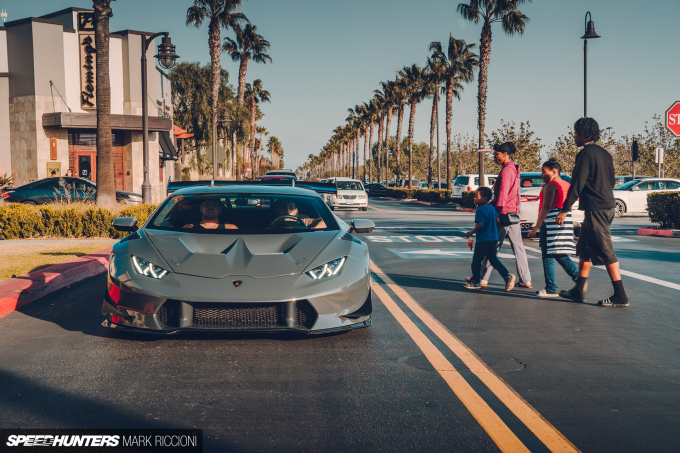 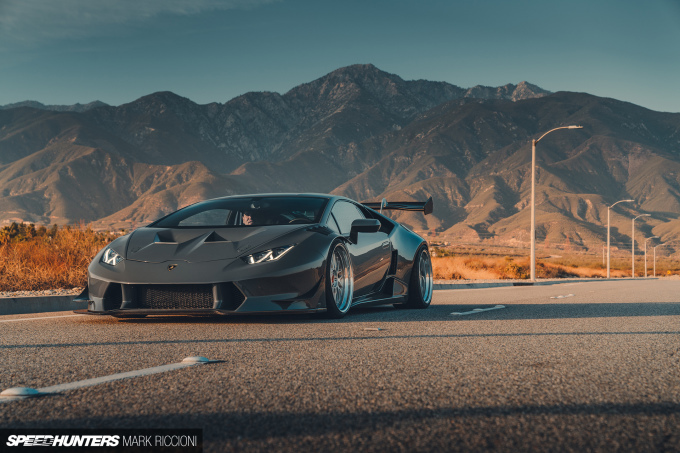 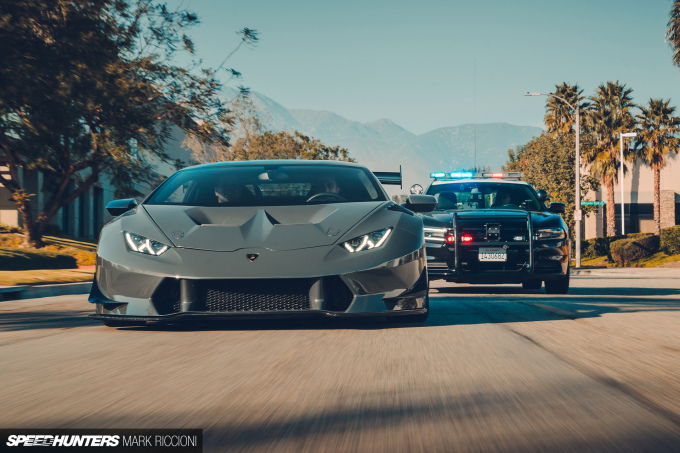 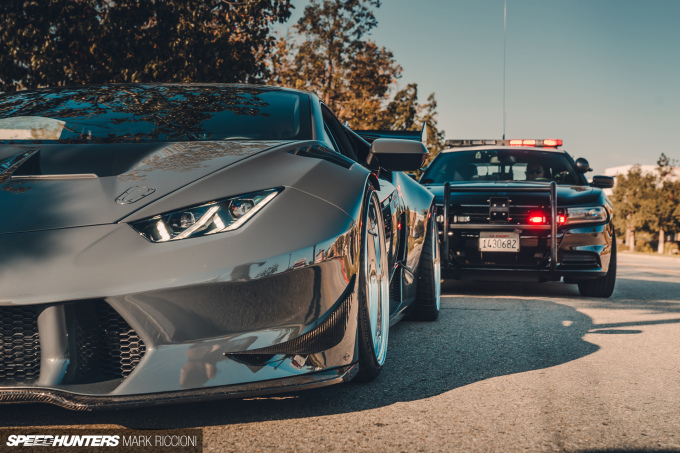 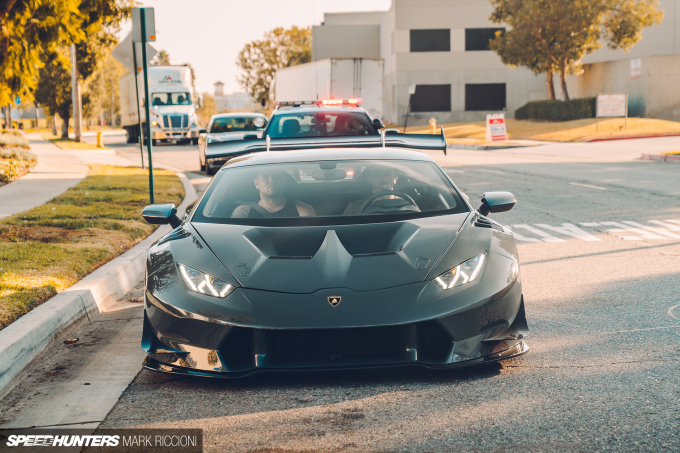 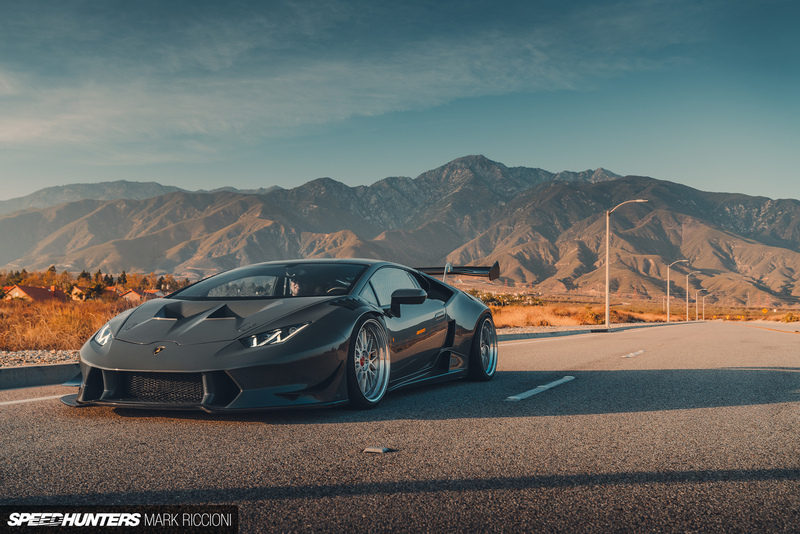 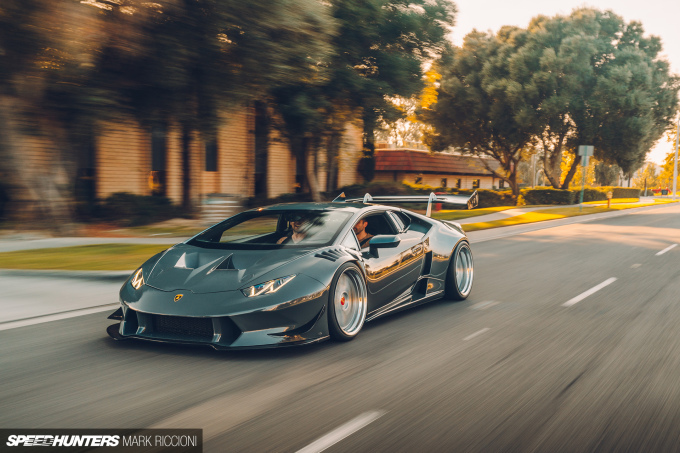 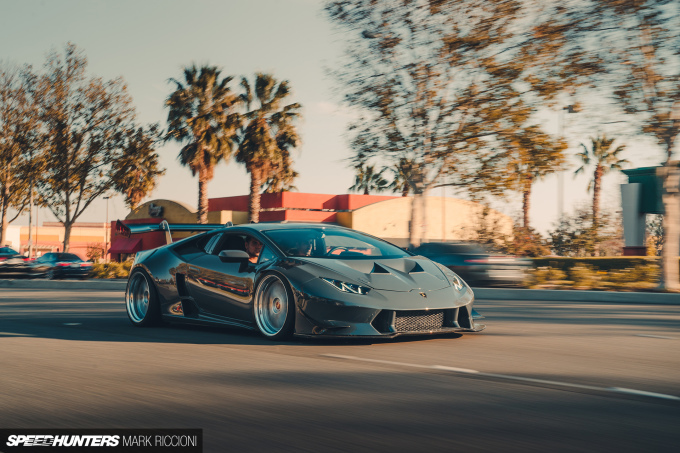 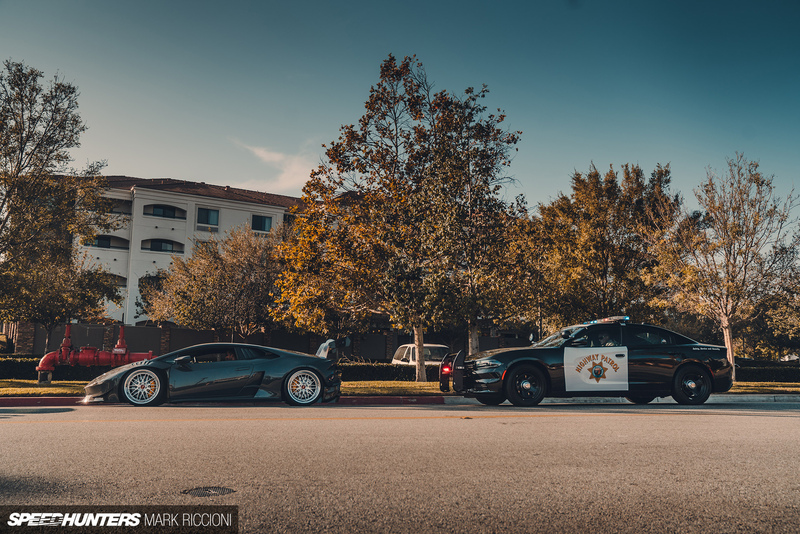 Having grown up tuning Hondas in his backyard, it didn’t take many miles after delivery before Marc decided to start fettling with the Lambo. 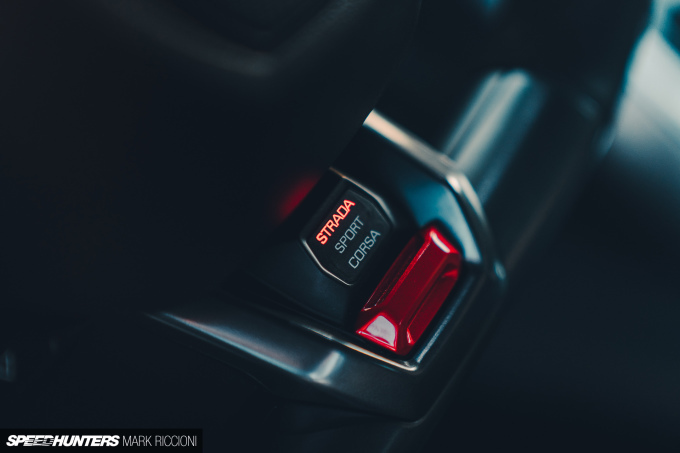 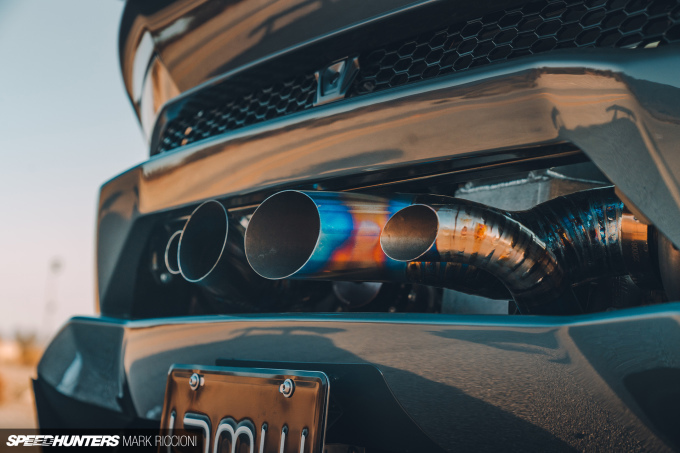 Granted, Hondas and Huracáns may seem like a world apart, but they’re both still just cars at the end of the day, and I’m sure we can all sympathise with that feeling when the itch to modify comes along. 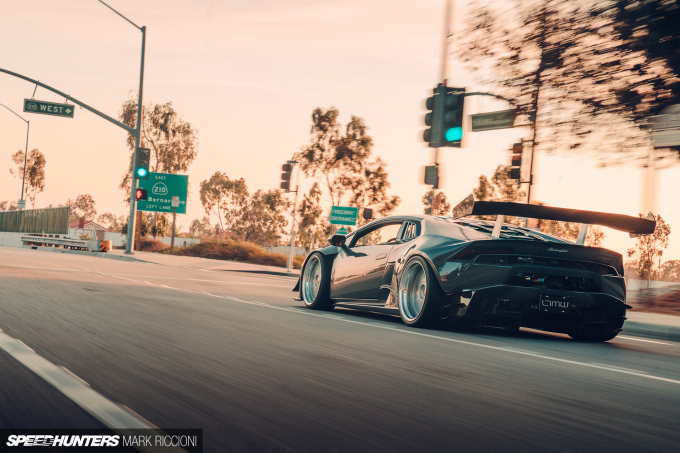 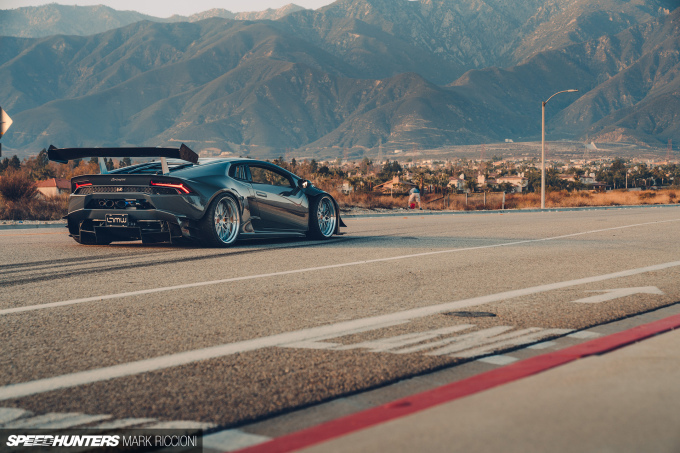 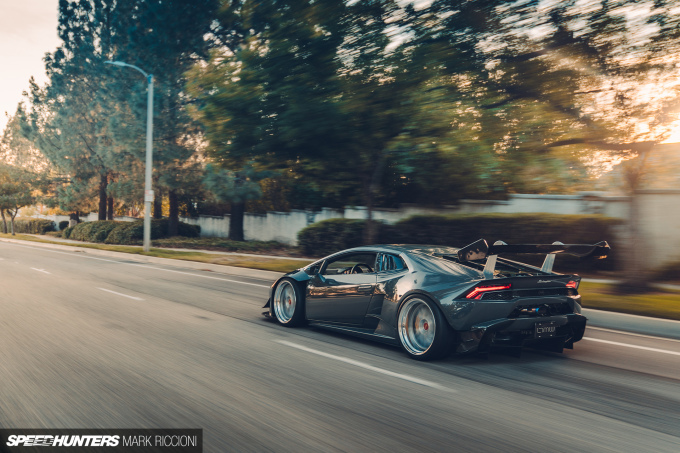 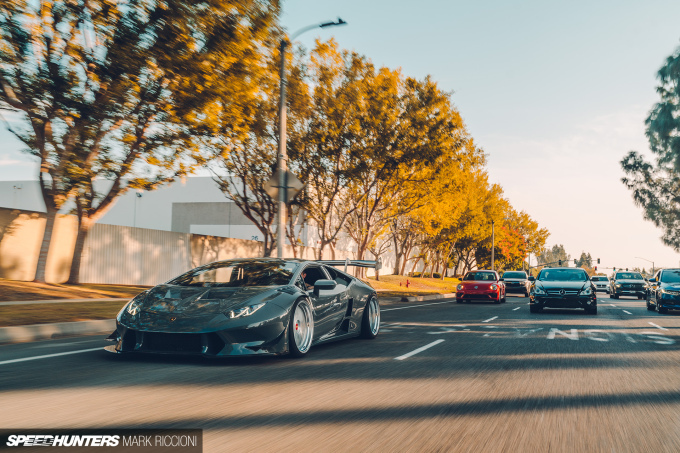 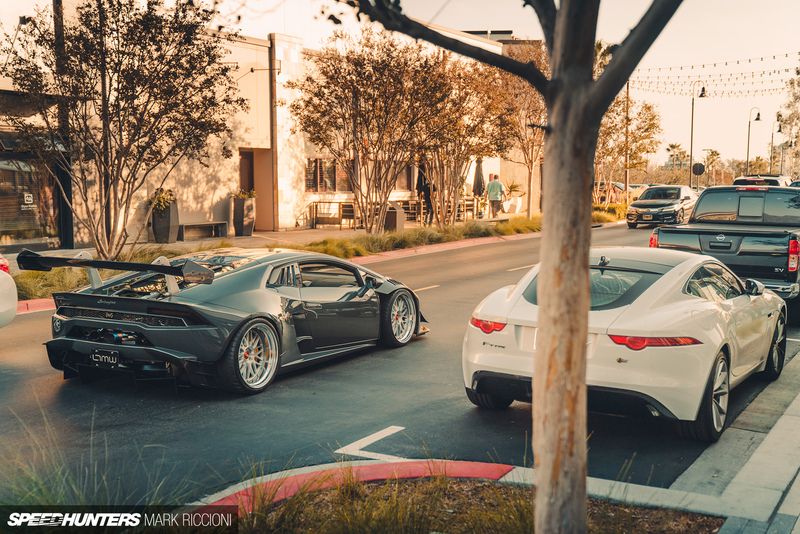 Marc decided to take matters into his own hands, pulling the Huracán from the unnamed tuner and delivering it to the fabrication experts at Sheepey Race. 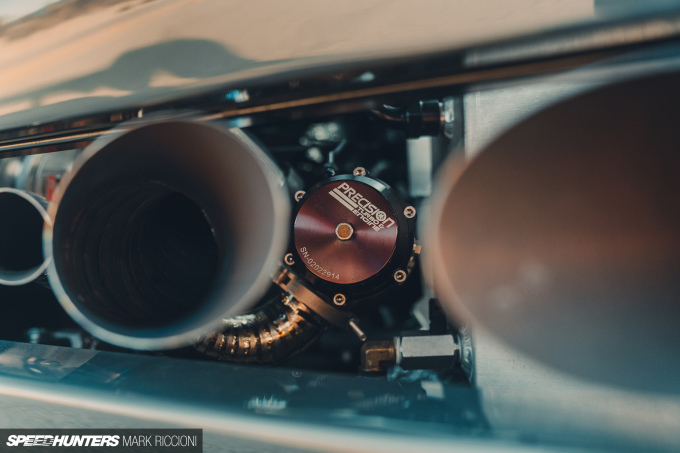 “Sheepey Race redid the whole turbo kit, created a custom pie-cut titanium exhaust setup and, most importantly, installed a stand alone management system tune with Syvecs,” Marc says. 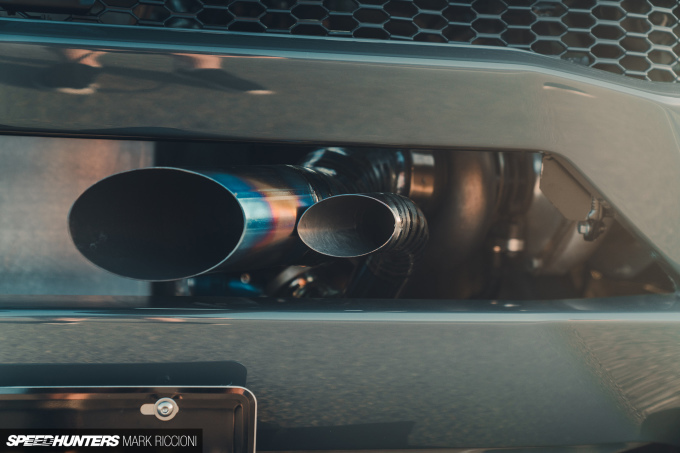 A pair of Precision 6466SP turbos now deliver 5.6psi of boost through the 5.2-litre V10, producing over 800 rear-wheel horsepower. 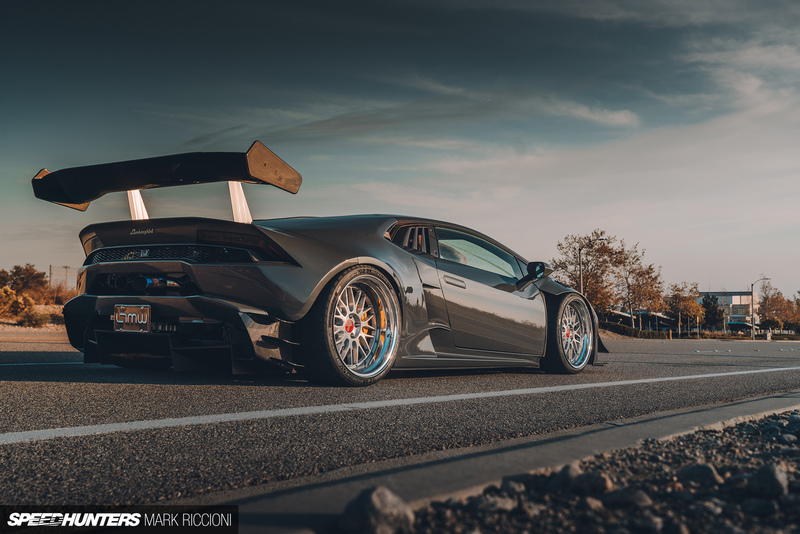 The intake side of things is kept cool by a pair of custom Sheepey Race/CSF intercoolers, while custom Sheepey Race intakes and throttle body adaptors work in harmony to proper the Huracán forwards. 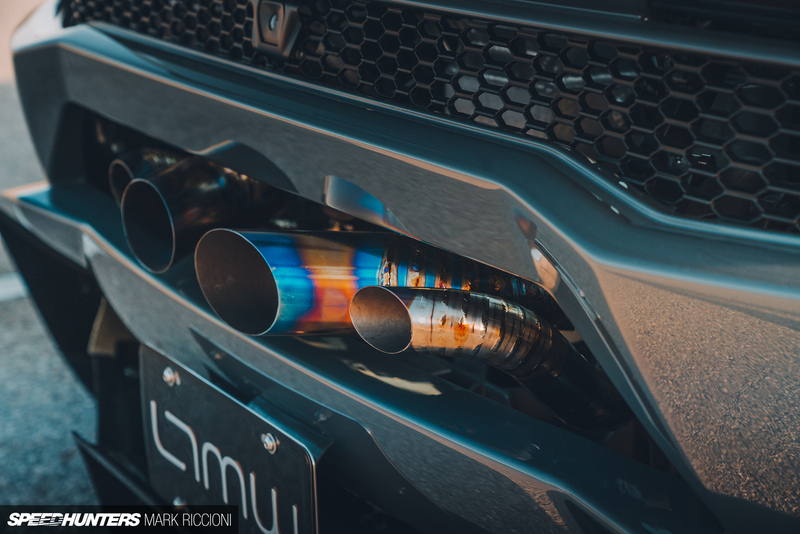 The exhaust alone is a work of art – who can deny a pie-cut titanium system curving out of the rear aperture – surely this looks as good as it sounds? 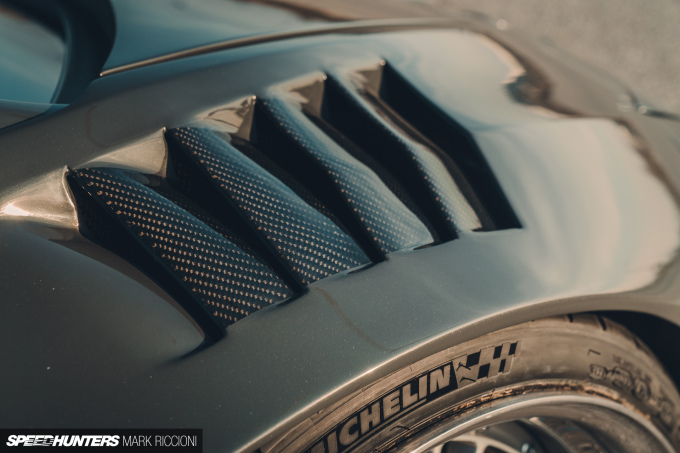 The entire engine bay is shrouded in carbon-Kevlar – from the Shadowcraft strut and reinforcements bars to the cosmetic engine covers, and there are also carbon fibre intakes. 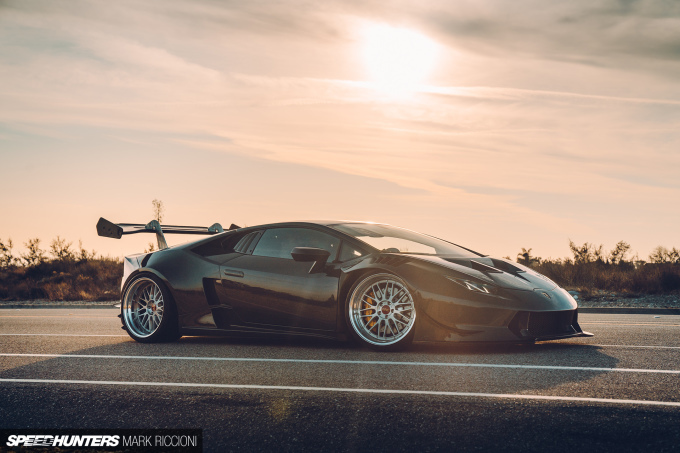 A pair of blue anodised remote damper reservoirs break up the sea of carbon; the Huracán is lowered on a set of JRZ RS Pro coilovers, with an Umbrella VRH pneumatic cup kit providing up to 75mm lift in tight spots. 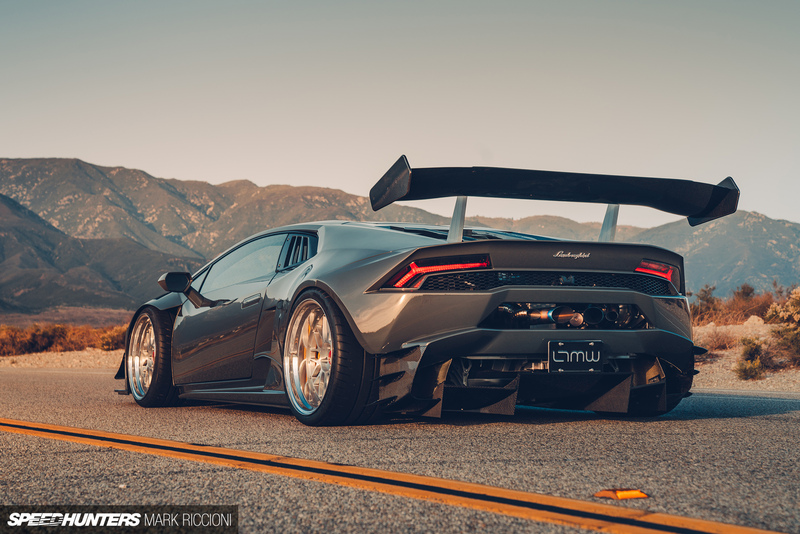 While the twin turbo conversion is undoubtedly impressive, it’s the Huracán’s aesthetics that draws most of the attention. 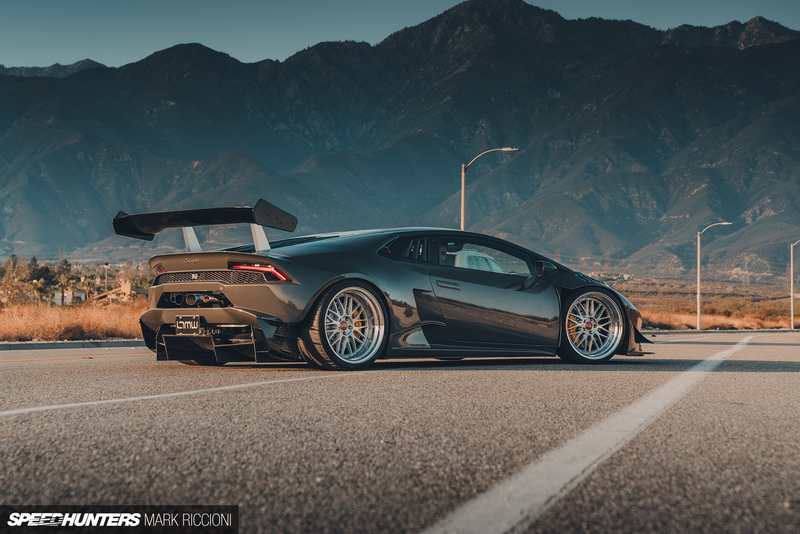 The stock car is a head-turner, but the Super Trofeo wide body really turns it into something special. 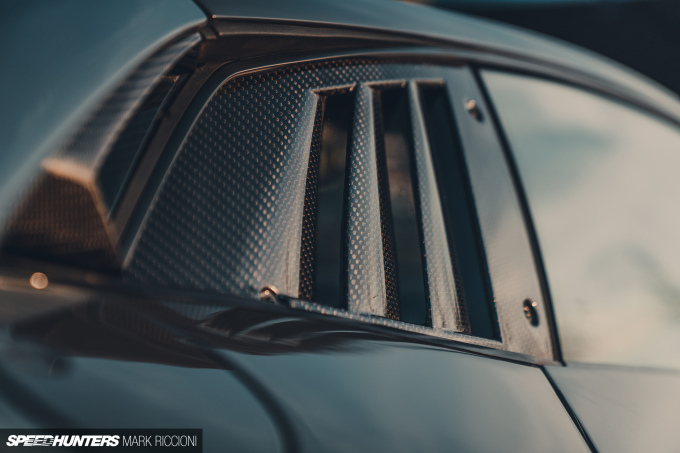 Marc ended up sourcing the carbon fibre body kit from a friend in Europe, and it was delivered to LTMW so the fitting could commence. 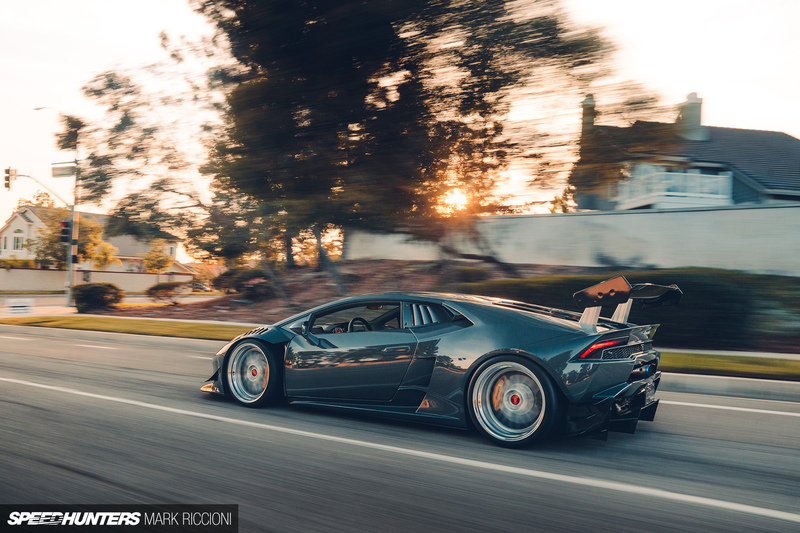 Once again, Marc couldn’t just leave it be – he had to modify. 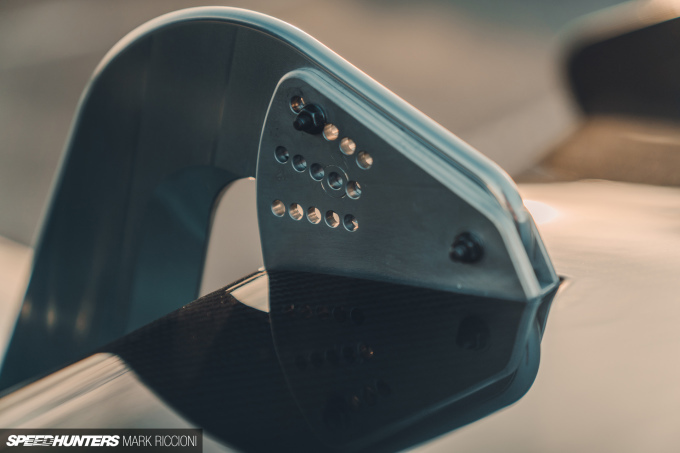 The stock Super Trofeo front and rear quarters are plastic, which just wouldn’t do, so Marc had them remade in carbon fibre reinforced FRP. 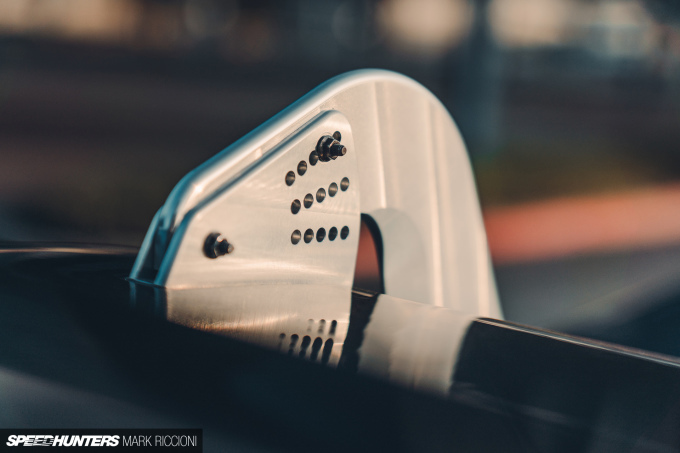 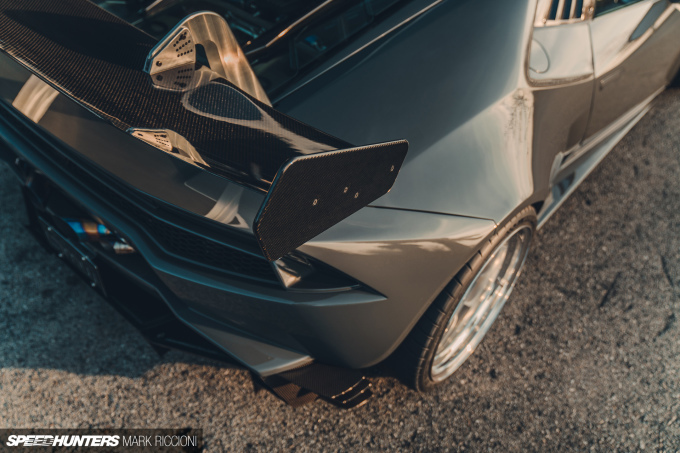 What’s more, the Super Trofeo rear quarter panels are actually the same width as the OEM road-going Huracán panels, but Marc wanted to accommodate more girthy rear rubber – when you’ve got around 1,000hp to play with, you need all the help you can get. 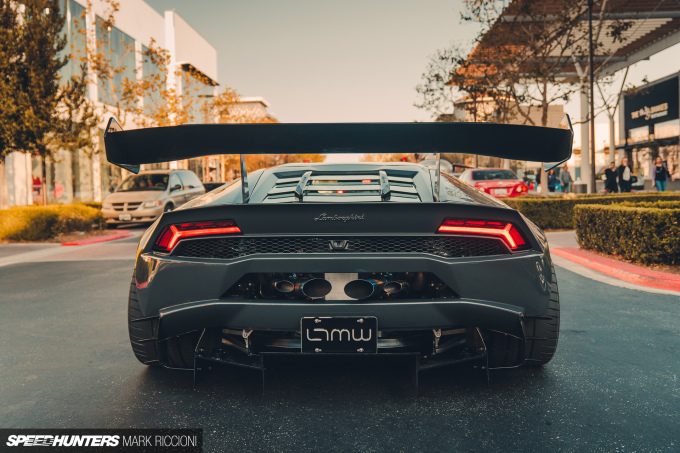 So, as you do, he had the rear quarters custom-widened by two inches at each side. 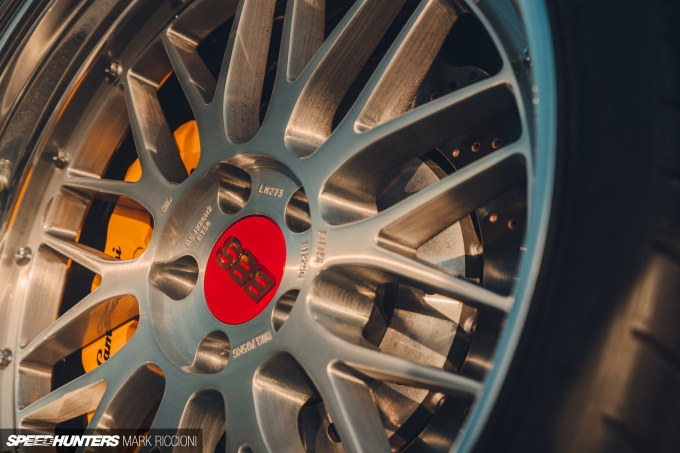 Calling the now cavernous fenders home are a set of custom BBS LMs. 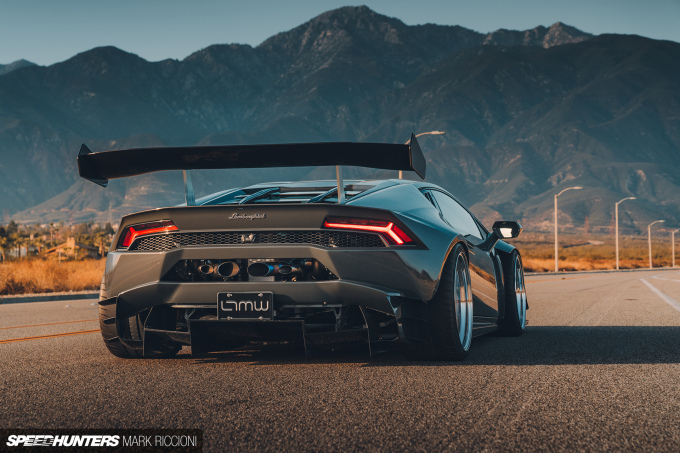 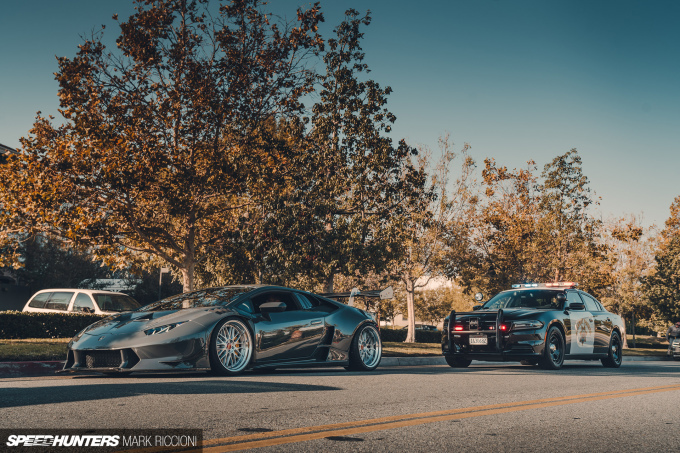 The size markings on the wheels now bear no resemblance to the actual dimensions; LTMW teamed up with AR Motorwerkz to create a set of one-off 20×9.5-inch front and 20×12-inch rear LMs using custom lips and barrels. 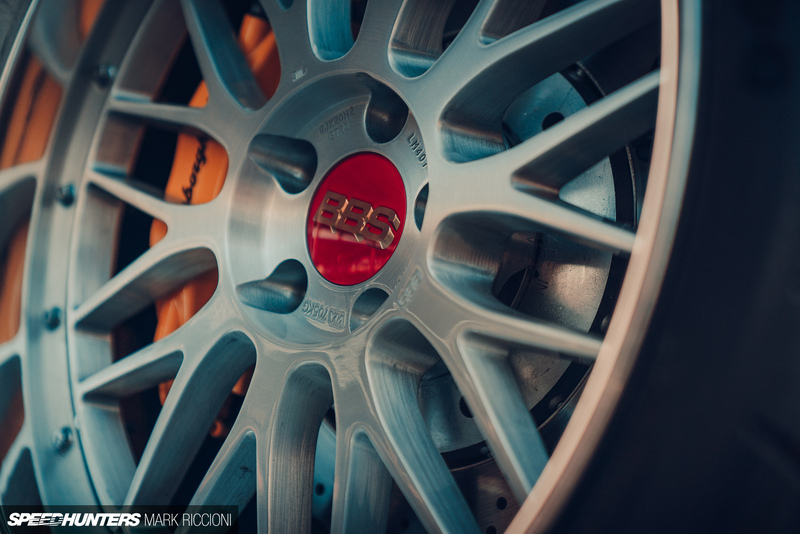 These are then wrapped in sticky Michelin Pilot Sport Cup 2 rubber all around, measuring 245/30R20 front and 325/25R20 rear. 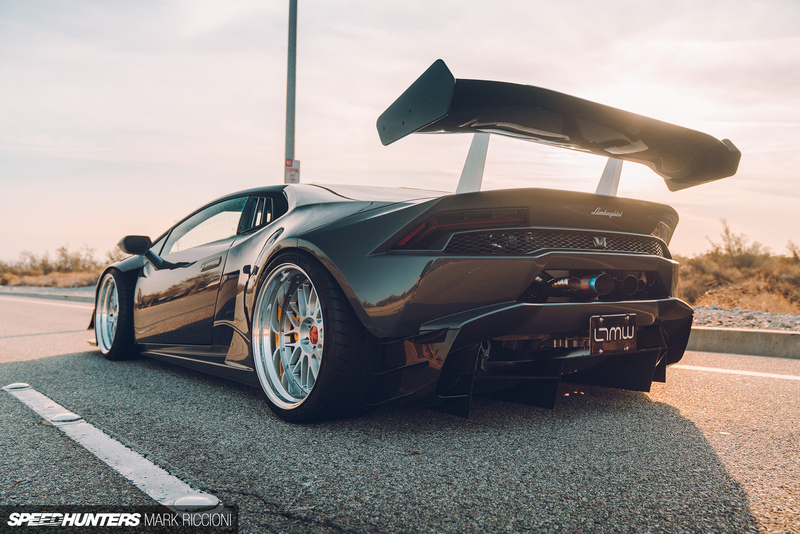 The aggressive wide body kit is finished off at the rear with the completely OTT and imposing Super Trofeo dry carbon chassis-mounted swan-neck rear wing. 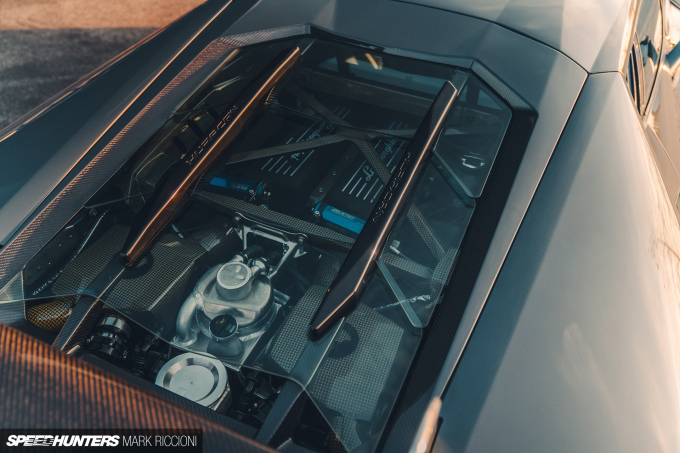 All around the exterior there are splashes of carbon fibre – from what you can see with the custom Emm Tuning carbon louvres, and Super Trofeo splitters and diffusers and rear three quarter inserts, to what you can’t see with the full Lamborghini carbon-Kevlar front and rear fender liners. 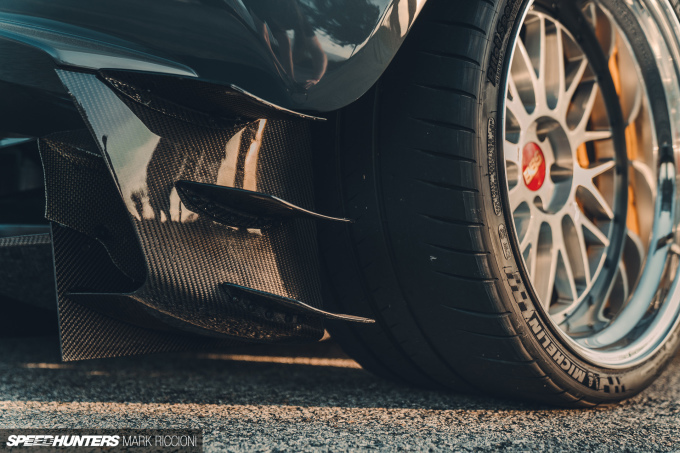 The latter even form part of the complex rear diffuser setup. 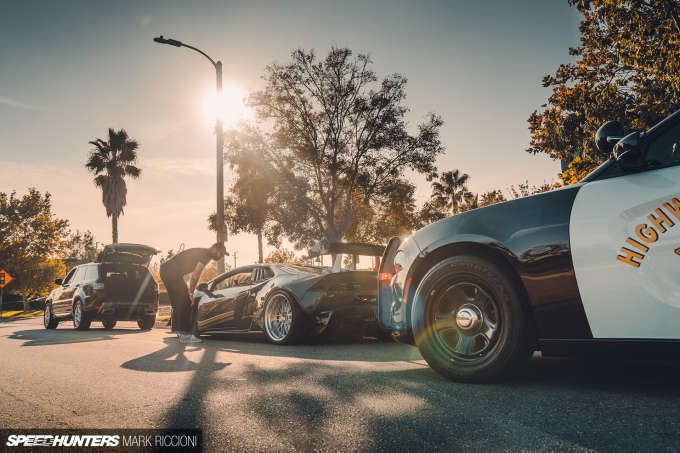 It’s all pretty mad stuff. JRZ RS Pro coilover system with external reservoirs, Umbrella front & rear full cup kit, Shadowcraft carbon-Kevlar strut bar, Shadowcraft carbon-Kevlar reinforcement bar, reinforced subframe. Marc would like to thank: first and foremost his wife, LTMW for always being there and helping out, Alex from Sheepey Race and finally Ron from Armotorwerkz for being a good friend for 10 years making sure he got drunk at least once every two weeks to deal with the stress of this build!